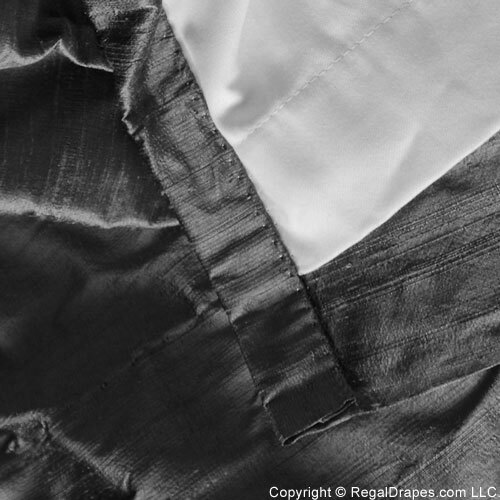 Blind stitched hems provide a clean tailored look. 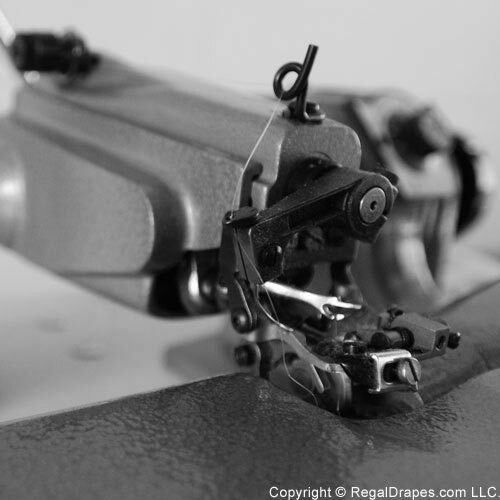 The hemming process takes the unfinished edge of the fabric and wraps it into a beautiful straight line. 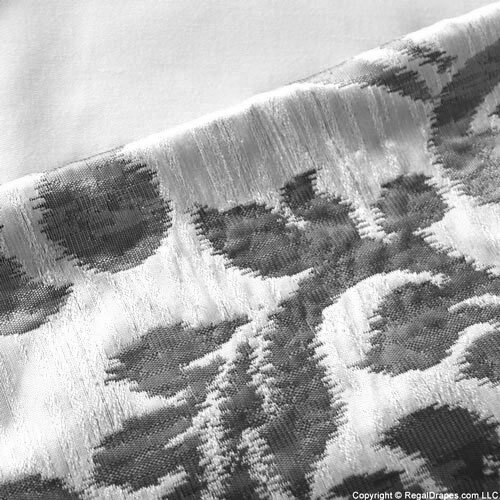 The fabric is then sewn using a blind-stitch machine. 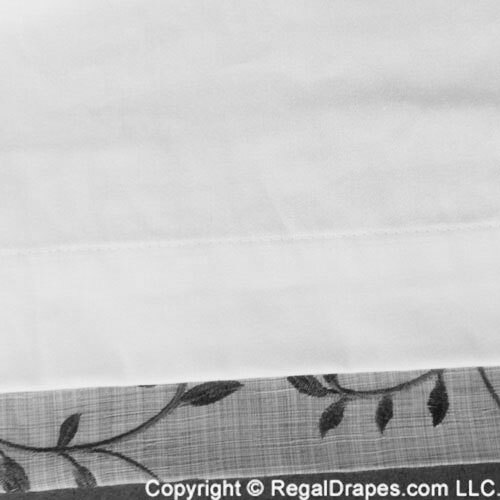 This process conceals the thread on the visible side of the drape leaving a clean hem. 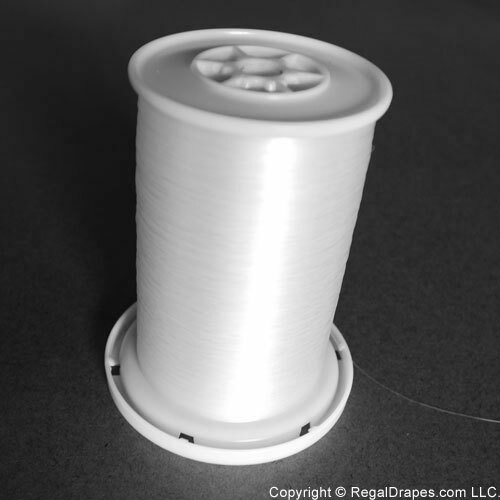 This ultra-durable thread has no color and blends into any fabric. 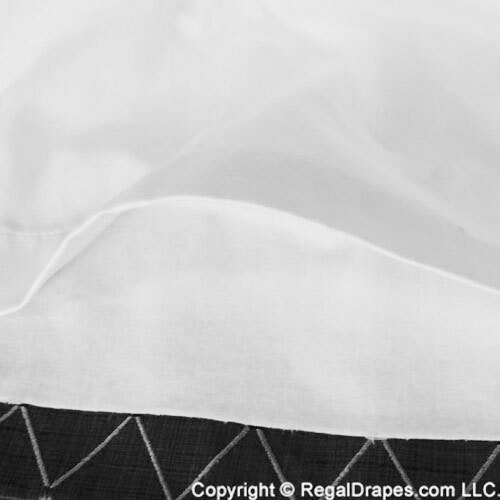 Blind stitching makes gorgeous hems where the thread is almost invisible creating crisp, clean lines. 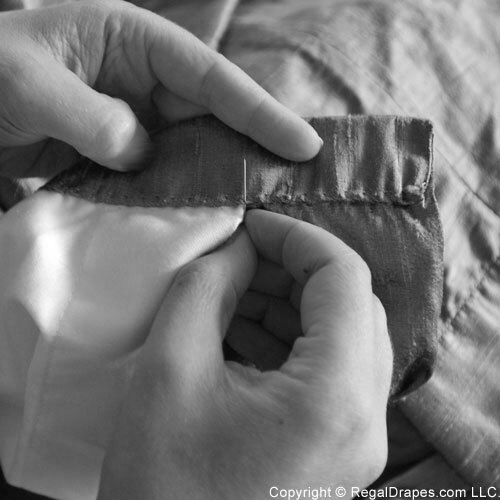 Hand stitching the corners reinforces the drapery ensuring a long lasting, quality drape. 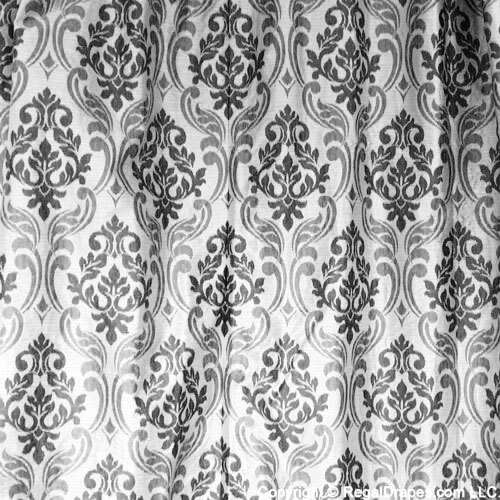 Weights are placed at all corners of the drapery to ensure an even, luxurious hang. 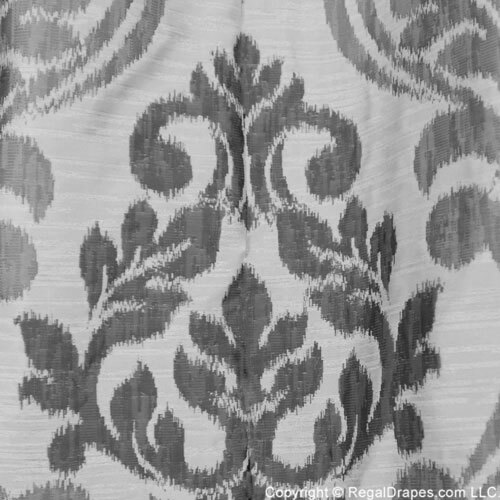 Drapery fabric typically comes in 54 to 60 inch widths(we do not carry any smaller widths). 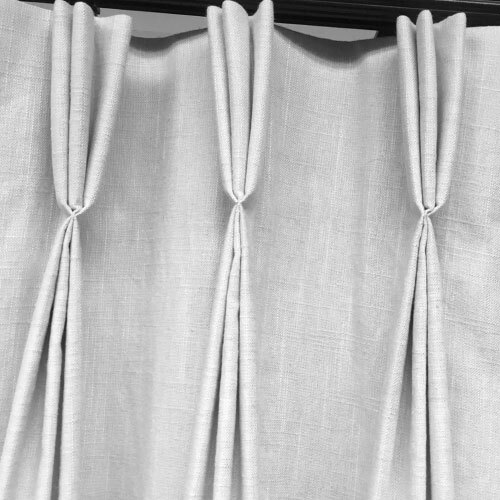 The benefit of choosing custom is that several lengths can be joined to create a wider drape. While patterns can present a challenge, our craftsmen take great care to carefully cut and join panels to create a perfect visual match. 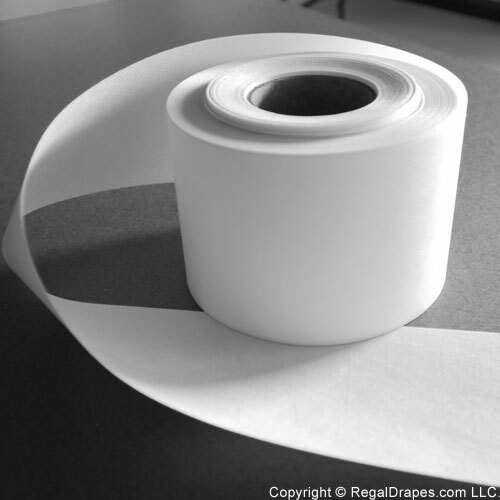 We use a 5” buckram heading on all of our pleated and flat panels. 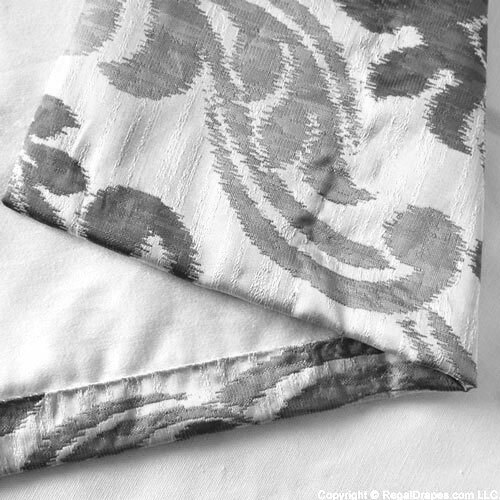 This stiffening agent creates a crisp look that only comes with custom made drapery. 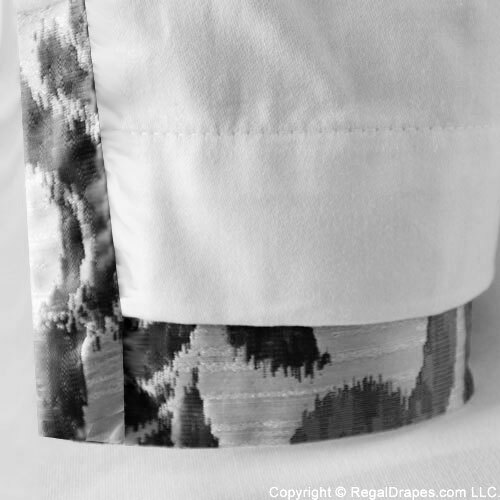 The buckram also helps to control and set the folds on your drapery. 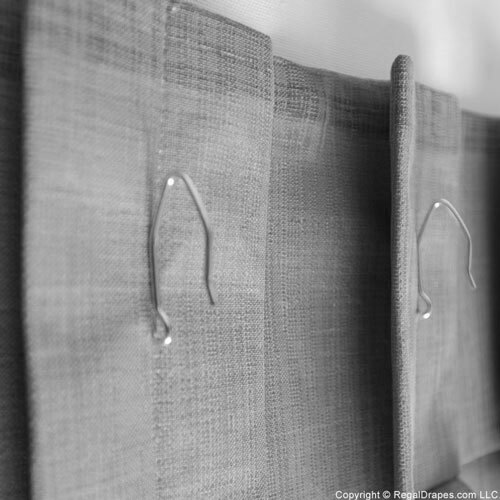 We pre-install drapery hooks on all flat panel and pleated drapery. 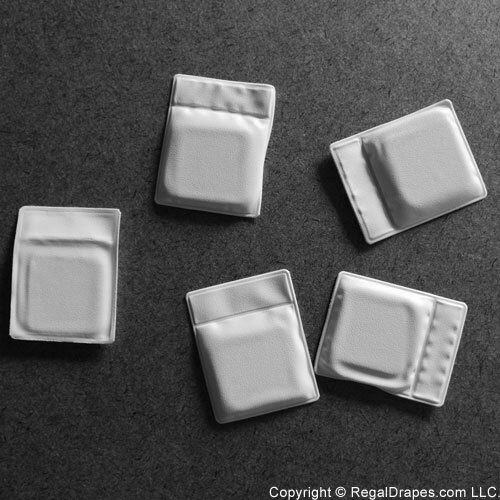 This makes it easier to take the drape out of the box and hang. 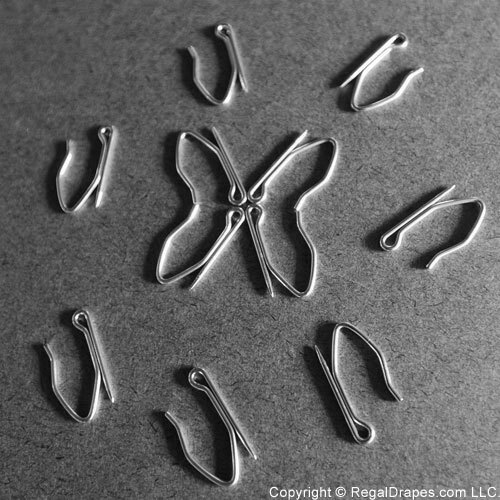 Drapery hooks can be readjusted to increase / decrease the vertical coverage of the drapery.